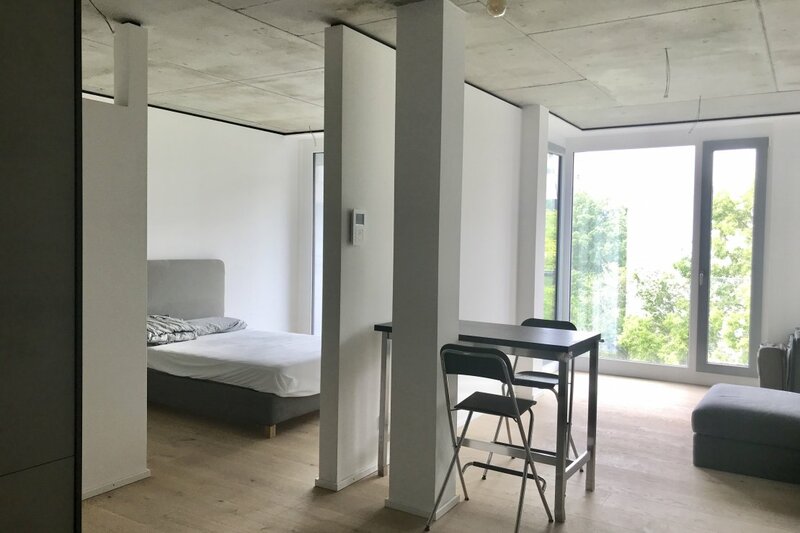 This apartment is in a designer new building in one of the most popular areas of Hamburg - Generalviertel. 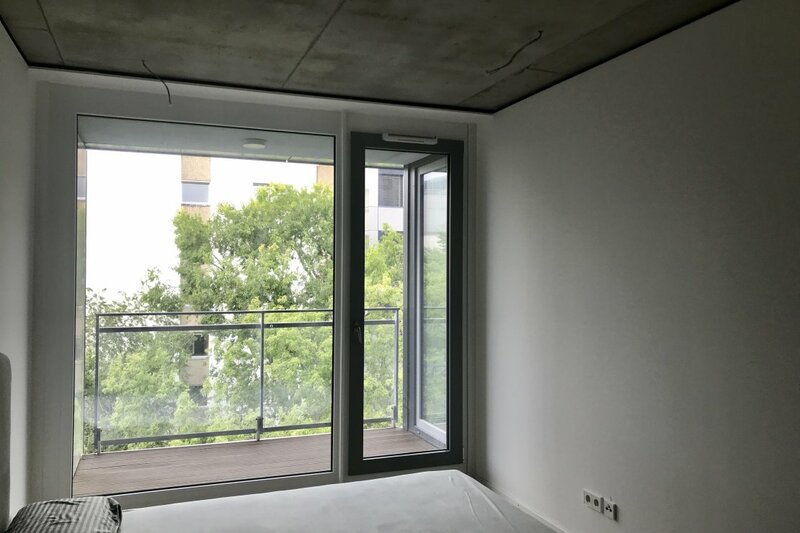 The apartment is on the 5th floor, a house in the urban style, the style can be traced both in the decoration of the new building itself and in the apartment, for example, a very interesting solution with a concrete ceiling is one of the features of this apartment. 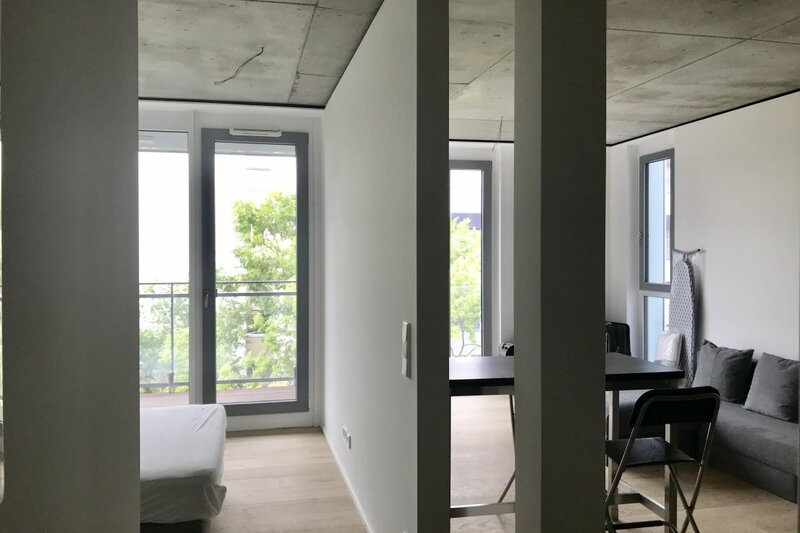 The apartment is divided into 2 rooms, each of which has a balcony. 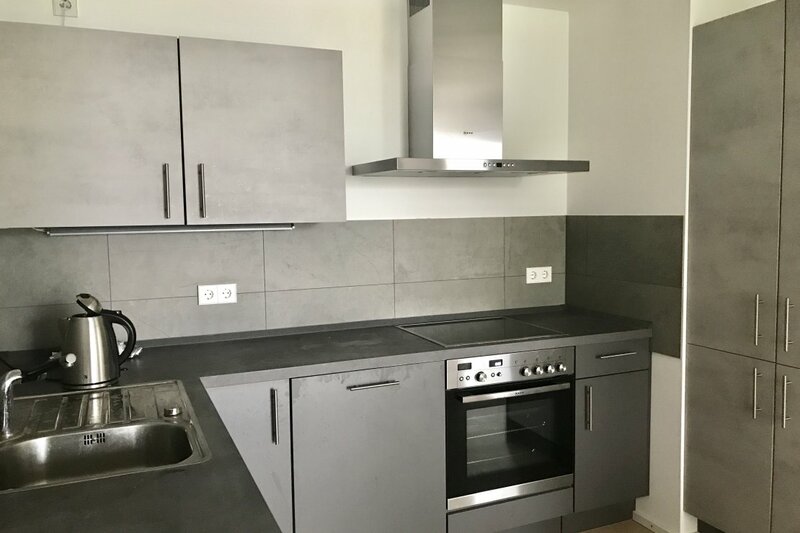 Built-in kitchen with all necessary equipment in the color concrete truck fits perfectly into the interior. Bathroom with a spacious shower. Very popular area with excellent prospects for the future! But metro station 5 min walk. The nearest large supermarket is 7 minutes. Very popular area with excellent prospects for the future! But metro station 5 min walk. The nearest large supermarket is 7 minutes.